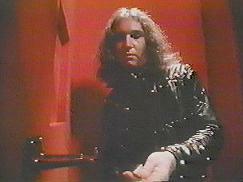 Jim Steinman wrote and arranged all the songs on Meat Loaf's debut LP, Bat Out Of Hell, which has sold close to eight million copies since its release. It is the best selling record in the history of Holland, and one of the three biggest albums in Australia and Canada, along with Saturday Night Fever and Grease. In England it is still in the Top 30, after a little more than three years on their pop charts. And in America, the record sold 3,000,000 copies, 800,000 in New York City alone. Steinman spent almost two years putting that project together and working with Meat Loaf before a single note was ever recorded. After Bat Out Of Hell was released, Steinman toured with Meat Loaf for a year, beginning the tour as the opening band for Cheap Trick in Chicago. They later headlined at a series of clubs, moving on to playing larger theaters in Cleveland, Boston, Toronto and Atlanta-sometimes with Tom Petty as the opening act. There followed a nationwide tour and then a long series of concerts in Europe and Australia. The grand finale took Steinman and Meat Loaf to Nassau Coliseum in Long Island, New York playing to 20,000 ecstatic fans. Steinman's often feverish, hallucinatory, sinister and sardonic monologues played a crucial role in the ritual, almost operatic theatricality of those shows as did his brutally pounding piano style..."Sometimes I think I play so hard it makes Jerry Lee Lewis look like Liberace... At the end of the shows, I could easily hold up my hands and let the blood drip from my fingers onto the keys. All in all though, as rock & roll extravaganzas go, this one had a lot in common with a scene from 'Mash'." Steinman first met Meat Loaf when he auditioned Meat for a part in his show "More Than You Deserve." Meat got the part and they began working together. After a short tour for both with the National Lampoon Show, Steinman and Meat Loaf got right down to doing Bat Out Of Hell. Now, Jim Steinman has just released his first solo album for Cleveland International/Epic Records. Entitled BAD FOR GOOD the album was co-produced by Steinman and Todd Rundgren who also produced Bat Out Of Hell. In line with its lyrical imagery, the LP utilizes every recording technique possible in an attempt to create a sweeping cinematic impact via the style of writing, performances and production. BAD FOR GOOD contains almost 65 minutes of music (including a free LP available for the entire run of the record). There are ten selections on the album, all exploring the outer reaches of soaring rock n roll, with dramatic and virtuoso performances from Steinman and a spellbinding group of musicians. The cast of characters include Todd Rundgren on guitars and background vocals, Roy Bittan and Max Weinberg of Bruce Springsteen's "E Street Band" on piano and drums, Ellen Foley (who performed "Paradise By The Dashboard Light" with Meat Loaf on Bat Out Of Hell) Karla deVito (who performed "Paradise By The Dashboard Light" and many other Steinman songs on tour with Meat Loaf), the Blues Brothers' horn section and the entire New York Philharmonic Orchestra. The famed orchestra is featured in a stunning instrumental prologue to the album, "The Storm," which was recorded at Lincoln Center in New York with 105 musicians. Steinman got along so well with the Philharmonic that they expressed a strong interest in going out on tour with him, but he decided against it after discovering that they had a terrible reputation for trashing hotel rooms and picking up wayward high school kids whenever they went out on the road). ...as Steinman writes in a new song not included on the record: "Everything is permitted/Nothing ever is taboo/And there is always something shattered/When there is something breaking through..."
Appropriately, BAD FOR GOOD contains what might be rock & roll's foremost dance song: "Dance In My Pants," which also takes the duet style (with Karla deVito) of "Paradise By The Dashboard Light" to its ultimate destination. 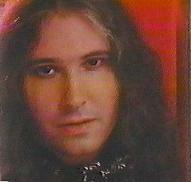 Jim Steinman was born in New York but spent a lot of his early life in Claremont, California, near Los Angeles. An avid, though not very accomplished surfer, he remembers dying his hair blond one summer, "It was some product Clairol put out once, designed for men. My hair turned a bizarre yellow-orange. It looked a little like W.C. Fields' liver." He moved to New York right before entering high school, and then enrolled in Amherst College in Massachusetts (along with David Eisenhower). While still in college, Steinman wrote the book, music and lyrics for a spectacular play, "The Dream Engine." He also starred in the show, which was seen by Joseph Papp, the head of the New York Shakespeare Festival. During intermission Papp bought the rights to "The Dream Engine," and planned to open it in New York at the Delacorte Theater in Central Park, later moving it to Broadway. But city officials advised him that it was "far too raunchy, sexually explicit and violent to be performed in an open public place, owned by the city." Steinman was then commissioned by Papp to collaborate on a musical with Michael Weller (who wrote the screenplays for "Hair" and the forthcoming "Ragtime"). The result was 'More Than You Deserve," which premiered in 1974. Dean of Students: "Jim, I see here on your record that you received a mark of 33 in Physics and a 17 in Calculus. Now how do you explain that?" Steinman: "Well, I guess I've always been better in Science than Math." Ever the creative individual, Steinman is currently working on developing film projects from many of the songs on BAD FOR GOOD. "Love And Death And An American Guitar" provides the Opening sequence of "GUITAR," a film being produced for Warner Brothers by Steinman and David Sonenberg, his manager. The film is the life story of one Fender electric guitar, spanning the years 1954-1986. It is narrated by the guitar. There will also be a CBS-TV movie entitled "Stark Raving Love," suggested by the song of that title on the album. And "The Storm," "Lost Boys And Golden Girls," "Bad For Good" and "Surf's Up" are all part of "Neverland," Steinman's dream-project-a massive science-fiction/rock & roll musical suggested by "Peter Pan." He is just beginning to write the screenplay now. There is also a film called "Dance In My Pants," currently being scripted, with principal camera work to hopefully begin within the year. In addition to all this, Steinman wrote all the songs on Meat Loaf's forthcoming new album, which he also co-produced with Meat and Jimmy Iovine. BAD FOR GOOD's captivating cover art is the contribution of Richard Corben, who did the memorable cover for Bat Out Of Hell.